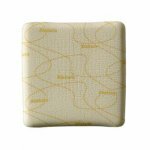 The Mepore wound pad is made of a viscose nonwoven coated with a polymer layer to give a smooth surface and render it low adherent. 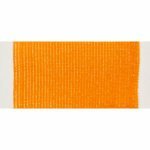 The polyester backing makes the product permeable and highly flexible, allowing it to conform well to body contours. 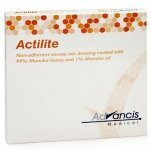 The dressing is protected by two pieces of overlapping release paper which are easy to remove and allow for aseptic application. 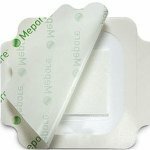 The adhesive border of Mepore seals the area surrounding the wound in order to avoid external contamination. 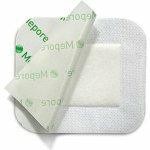 Mepore is water repellant (not moisture-proof) and provides physical protection to the wound. 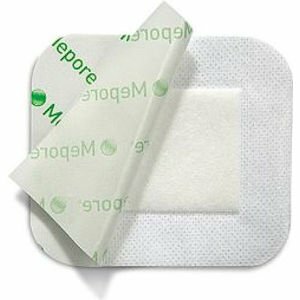 Self-adhesive sterile absorbent dressing intended for treating low to moderately exuding wounds, such as surgical wounds, cuts and abrasions. 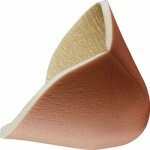 Grip both overlapping release papers, exposing adhesive surface allowing initial fixation of the dressing. Position the dressing on the skin without stretching and gently remove the rest of the release papers. Firmly smooth adhesive border to the skin. 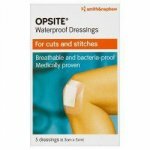 Do not stretch the dressing when applying. The frequency of dressing changes will be governed by the condition of the underlying wound. Upon removal grasp the edge and slowly peel the dressing from the skin in the direction of hair growth. 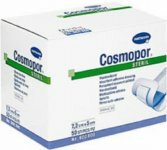 Mepore should not be applied to patients who are known to be sensitive to acrylic adhesives or to individuals who have very fragile or easily damaged skin. 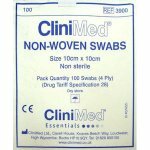 Sterility is guaranteed unless inner package is damaged or opened prior to use.